Modern and comfortable self-catering apartments are located in Kazan, 1 km from Victory Park and 5 minutes drive from the Kazan Kremlin. It offers free WiFi. The apartments are decorated in light colors and feature a balcony, a washing machine, a flat-screen satellite TV and a private bathroom with free toiletries and a Hairdryer. 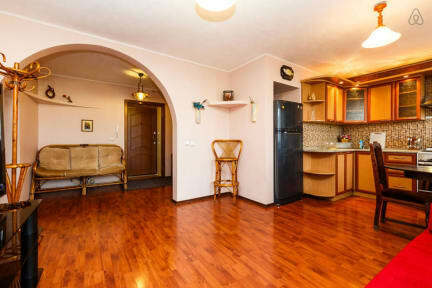 Apartment with own kitchen, bathroom and balcony, equipped with air conditioning, an LCD TV with satellite channels. Guests can prepare meals in the kitchen equipped with microwave, hob, oven, kettle and fridge. 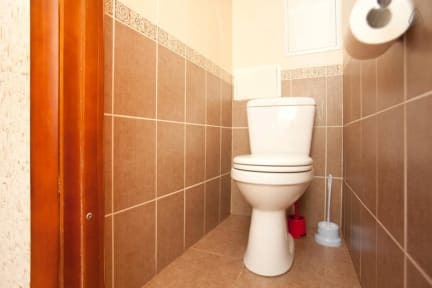 Bathroom with shower and washing machine, Slippers, towels (2 per person), free toiletries and a Hairdryer. Comfortable and Modern Apartment Policies and conditions. Breakfast not included - 100 RUB per person per day.